My name is Alan Benson and I am the founder and owner of Alan’s Quality Minerals, LLC. In 2003, at the young age of 14, I founded Alan’s Quality Minerals. With that being said, my strong interest in minerals began at a very early age. My first experience with minerals was at the local mall with my father, Thomas Benson, at a store called Natural Wonders. Upon entering the store, I quickly became fascinated with the many pairs of agate bookends stocked on the shelves. Seeing my excitement, my father allowed me to pick out a pair of agate bookends for him to purchase for me. After several months of collecting the agate bookends, my father introduced me to one of his friends who introduced my father and I to a mineral club located across the river from our house in Bucks County, Pennsylvania. It was here where my true fascination in minerals began. After several years of collecting, at the young age of 11, I started selling at my first mineral club show sponsored by the Lower Bucks County Pennsylvania Club. By the time I turned 14, I belonged to 3 local mineral clubs, collected on club fieldtrips, attended my first Tucson show as a buyer, and by the middle of the year, established Alan’s Quality Minerals. 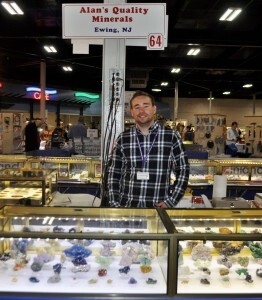 Over the next several years, my interest in minerals continued to grow, encouraging me to participate in several mineral shows in the mid-Atlantic and northeast regions. As mentioned in this article, I began to grasp that my passion has extended to a national level. By the age of 14, I began selling on eBay under the userID: bensoncollectableland and quickly opened my own eBay store: Alan’s Quality Minerals. Through eBay, I was able to meet many interesting individuals in the mineral community, ultimately helping me to further expand my business. My eBay business continued to expand over the next couple of years. By the age of 17, I began to realize that Alan’s Quality Minerals could not only help me to work in an area that I am extremely passionate about, but also could provide me with a way to potentially pay for my college tuition. With the help of Alan’s Quality Minerals, I was able to fulfill my other lifelong dream of obtaining a degree in Finance from the Rutgers University Business School in Camden, New Jersey. In 2012, I was recognized as one of the top ten minerals dealers on eBay. 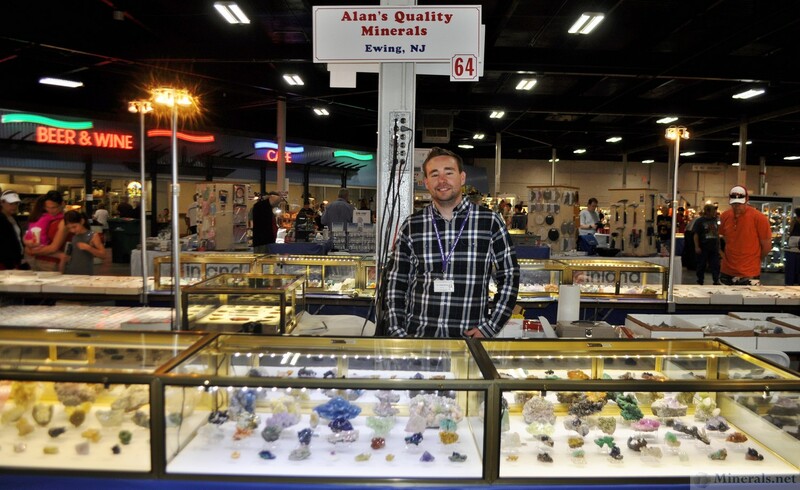 During my college years, Alan’s Quality Minerals continued to grow and provided me with fortunate opportunities to visit and collect at a variety of new locations (ie: Rogerley Mine, Frosterley, Durham County, England; Bingham, New Mexico; Smoky Hawk Mine, Florissant, Colorado; etc…) and even attend an international mineral show in Saint Marie, France. Realizing how fortunate I was to have had these new experiences, I began giving back to the local mineral clubs by creating PowerPoint presentations of the localities I visited and presenting these presentations in-person during the clubs’ monthly meeting. Over the past few years, Alan’s Quality Minerals has participated in both the Denver, Colorado and Tucson, Arizona shows as a buyer and a dealer. 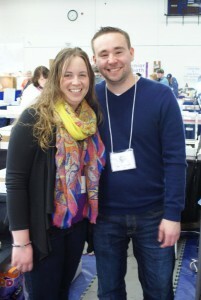 In addition to continually being a top-rated seller on eBay, Alan Benson of Alan’s Quality Minerals currently participates in mineral shows per year with the help of his Fiancé, Elise Tranter. 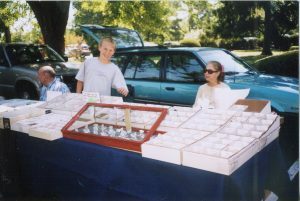 As for the future, Alan’s Quality Minerals plans to continue growing by adding additional mineral shows to his already lengthy show list, traveling to more international and domestic locations to field-collect, and creating more PowerPoint presentations to present to the local mineral clubs – all while continuing to maintain a strong relationship with all of his customers.